The MP Rotator has a lower precipitation rate than typical spray heads, so your run times need to be lengthened. 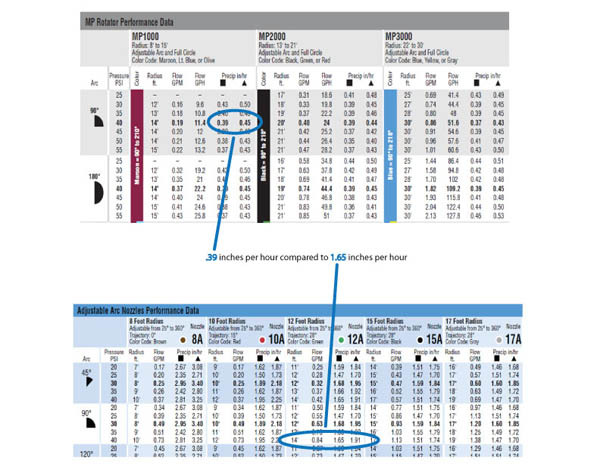 Your run times with the MP Rotator may be two to three times longer than a standard spray zone. This is because the MP Rotator puts water down at a slower rate resulting in a significant reduction in runoff, thus saving large amounts of water.